Ukraine has purchased sniper rifles and a batch of PSRL-1 grenade launchers in the US, journalist Yury Butusov said. He explained that after supplying the party of Barrett sniper rifles to the Ukrainian Armed Forces and National Guard, the Americans produced one more element. “American lethal weapons are already in Ukraine. 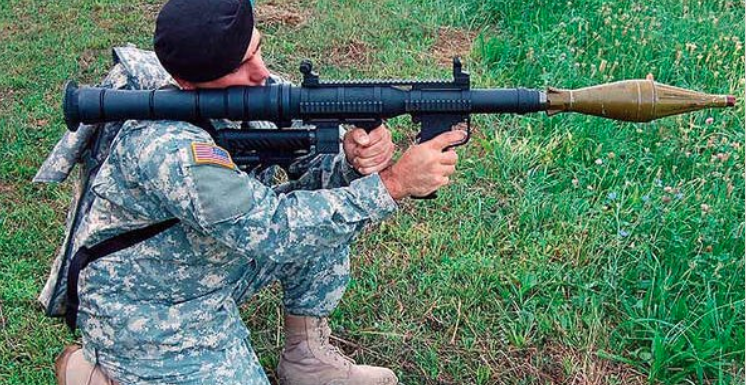 After delivering a batch of 12.7-mm Barrett M82 sniper rifles and M107 to the Armed Forces and the National Guard of Ukraine, the United States carried out a new supply – the PSRL-1 grenade launchers. “In April 2017, the National Guard bought 100 such grenade launchers from the American company AirTronic USA The grenade launchers have already entered the arsenal of a number of units, in particular, the Azov Regiment and Rapid Response Team 3018,” Butusov wrote on his Facebook page. “Following the Barretts, Ukraine managed to get another supply of lethal weapons from the US There is no doubt that the US authorities traced the deal, but they did not cancel it, despite the current ban on the supply of lethal weapons to Ukraine,” the journalist stressed. Earlier it became known that the US military is ready to provide lethal weapons to Ukraine. This was stated by General of the US Air Force Paul Selva. Ukraine, in turn, said that it was ready to accept lethal weapons from the US in the event that the US authorities take such a decision.